This Monday - Anyone going? 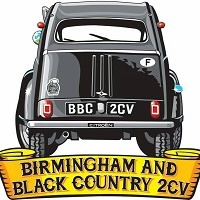 And after a full two months of my 2CV laying dormant in the garage with a SORN in place, it's just been freshly re-taxed lunchtime today, and will be in attendance this evening. Just noticed that WASPs has disappeared from the Local Groups pages in 2CVGB News. It was one of the oldest local clubs and was very well attended twenty years ago when I was new to 2CVs, but numbers dwindled over the years. I haven't attended for the quite a few years now I live in the Shetland Islands. Sad, but not unexpected.